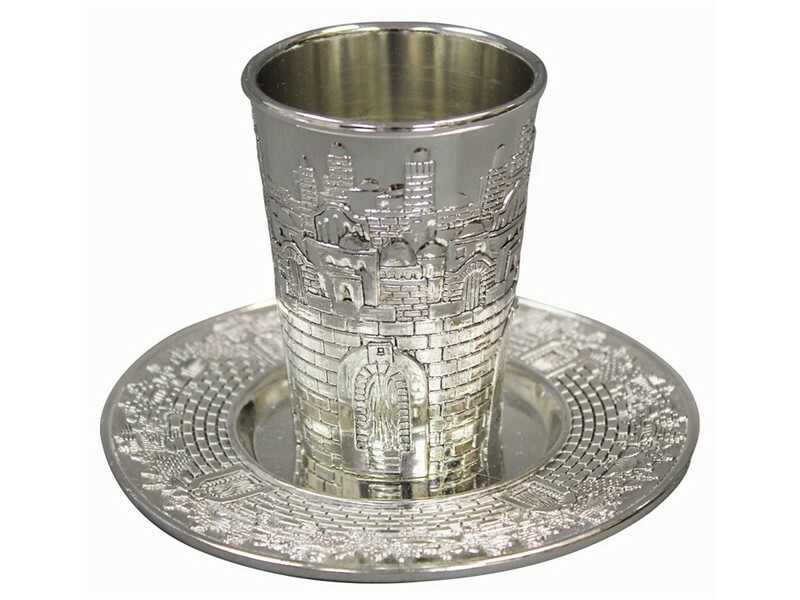 This beautiful silver plated Kiddush cup will enhance your Kiddush ceremony and Shabbat table. Decorated with the hills of Jerusalem, this cup makes a magnificent presentation. Kiddush cup come complete with a matching round tray.